I’m going to teach you the right way to make fruit salad. Imma ’bout to get real bossy. Yeah, you’re not surprised. 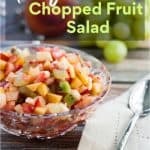 Before I start telling you about how perfectly sweet and tart this chopped fresh fruit salad is, I need you to remember something your parents used to say to you: Don’t do as I do, do as I say. Because I screwed up. And I don’t want you to screw up, too. I made this recipe twice. The first time was to taste test. It turned out perfectly. The second time was for pictures and I got a little crazy and chopped the strawberries way too small. I was showing off. (Yes, the cats were very impressed.) 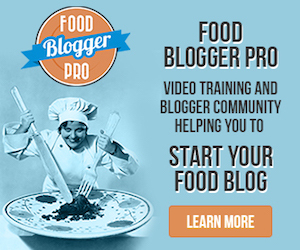 I was practically mincing them – don’t do that. See *Note below. *Note: be careful chopping your strawberries, bananas, and kiwi. If you chop them too small, they will start to fall apart when the lime is added. I found this out the hard way. This is why in my pictures you can’t really see a lot of strawberries, they were turning into strawberry juice. Tasty, yes. 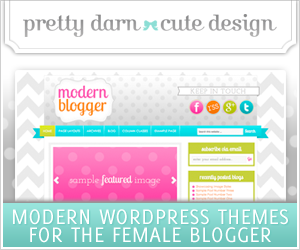 Pretty, no. 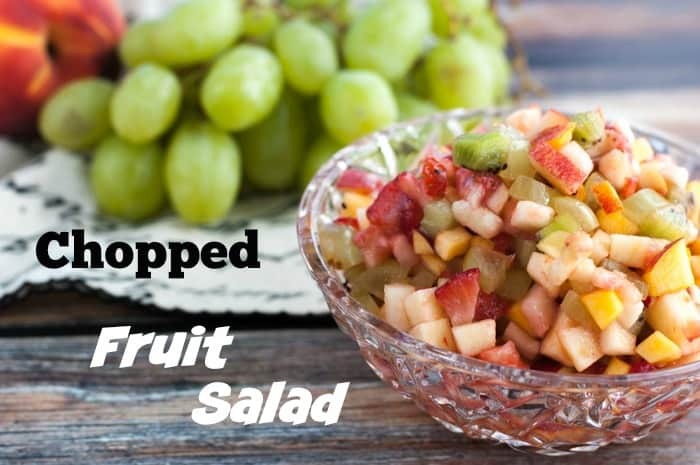 What makes this fruit salad especially awesome? You know what it’s like to eat fruit salad, don’t you? You take a bite of apple. Then you take a bite of banana. Then you take a bite of strawberry…and on and on. BORING. What if you could eat all of the different fruits in the same bite? I just blew your fruity mind. 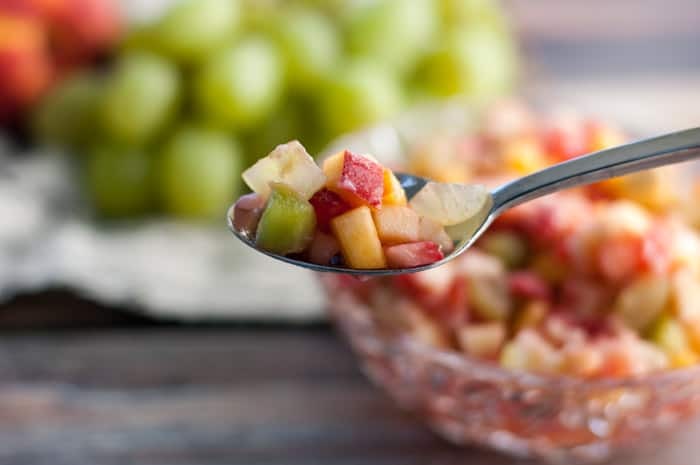 The key to this fruit salad (and what makes it different from all the other fruit salads) is the way the fruit is chopped into teeny tiny pieces of fruit jewels. This is how you get to taste them all in the same spoonful. Is this crazy, or what?? It’s like a wild fruit party! Okay, maybe I haven’t been to too many parties lately (me=loser) but in my world of food, this is exciting stuff. You could use any fruit you want and you could leave out the sugar or honey. I tried it this way and didn’t really miss it. The lime adds just a touch of tartness to this sweet fruit salad. 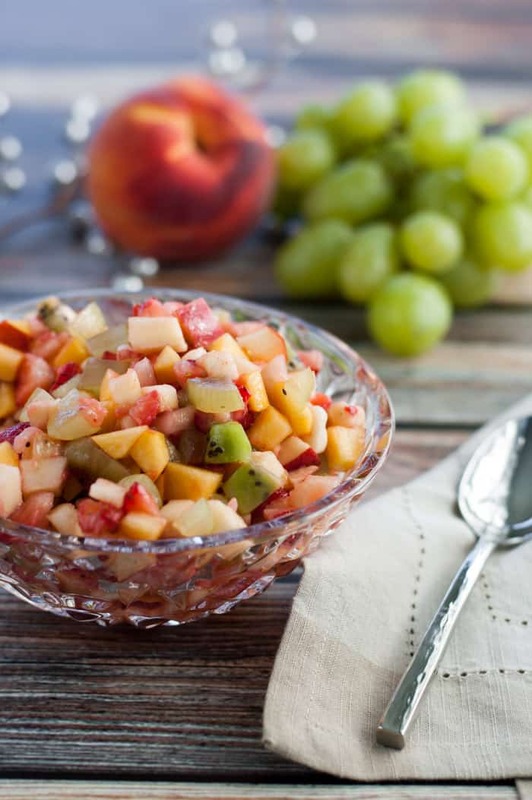 How about pairing this fruit salad with Breakfast Muffins with Sausage, Cheddar & Green Onions? It would be like breakfast’s own dessert! 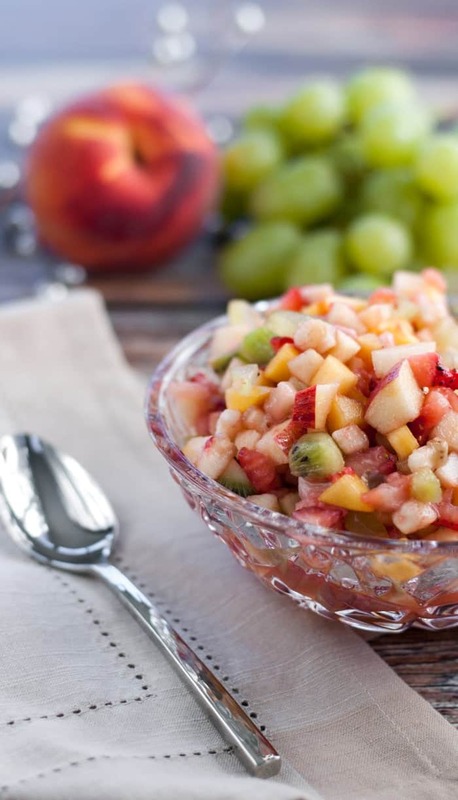 This chopped fruit salad would actually be perfect for dessert. Especially if you’re wanting to stay away from more caloric types like cake, cookies, and pie. I’ve made this fruit salad when I’ve been on a sugar-free diet and I omitted the sugar/honey option. Make sure all fruit is evenly chopped into small pieces. Note: be sure not to cut your strawberries, bananas, and kiwi to small (no mincing or dicing) or they will start to turn to mush. 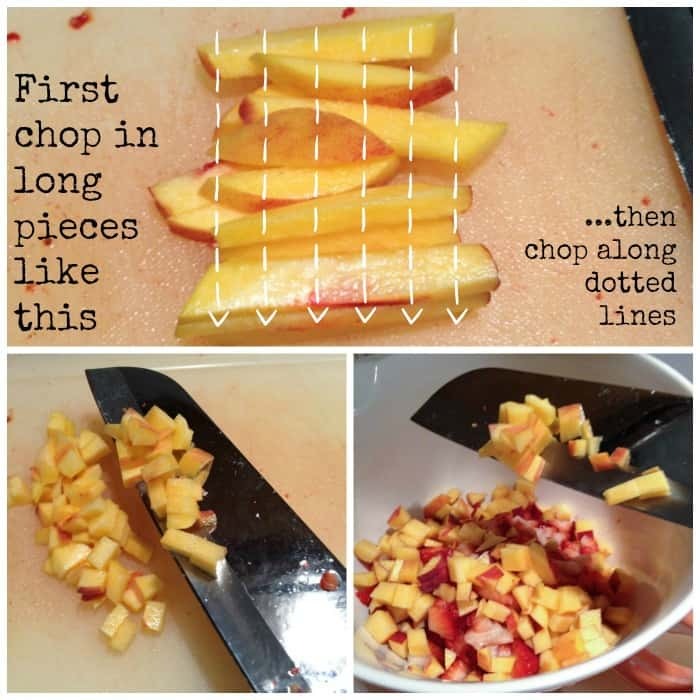 Combine all chopped fruit into a medium size bowl. Add fresh squeezed lime juice. Add sugar or honey, if desired. Lightly stir to combine and serve at room temperature or chilled.